Welcome to Maple Winds Care Center! 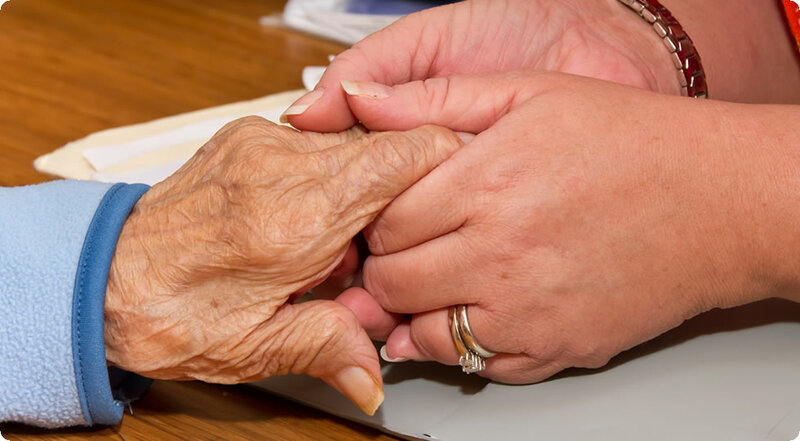 Maple Winds Care Center provides friendly, compassionate care for seniors who need skilled or long term nursing care, while our adjoining sister facility, Autumn View Personal Care offers personal care services in a welcoming, home-like atmosphere. We are located on Spring Hill Road, just outside of Portage, PA. Many of our residents come to us from the rural areas and small communities around Portage, Lilly, Wilmore, Summerhill, Munster, Cresson, and Gallitzin. Our residents and families often choose Maple Winds and Autumns View for our friendly, compassionate care, and because we are close to their home, so it is easy to make frequent visits with loved ones. Many residents also like the fact that we are not a large institution, but rather a small, friendly community, where we all know each other by name. We are Medicare / Medicaid certified, and we accept many different kinds of insurance plans. We welcome your inquiries. The best way to get acquainted is to schedule a personal visit. Please call us at (814) 736-4000 or click the Contact Us tab on this web site and complete the form. Our Admissions Director will be pleased to make arrangements to show you our facility. Maple Winds Care Center is licensed to provide skilled nursing care and rehabilitative services. This care is available for long term or short term needs. Some residents may only require skilled care during a period of recovery from an illness or accident before returning to their own homes. We also provide respite care for seniors whose regular caregivers may need to be away, perhaps for a family emergency or vacation. Our nursing staff together with our therapists and dietary staff create individual plans of care for each of our residents. Family members are included in this process, and each resident’s plan of care is regularly reviewed and adjustedto accommodate changing needs. The goal is to help each resident remain as independent as possible and as comfortable as possible. Our activity programming is a very important part of this. We provide a variety of daily activities geared toward each resident’s likes and dislikes, and adapted as necessary to accommodate individual health constraints. Autumn View Personal Care offers a safe, friendly atmosphere for seniors who need some assistance and no longer want to be alone in their homes. We offer comfortable single and double rooms. Residents may bring their own furniture together with personal items as they wish. Telephone and cable TV/internet hook-ups are available in each room. Our staff helps residents with dressing and bathing, and even toileting as needed. We take care of administering all medicines, and we provide three delicious meals each day. We provide transportation, and, as necessary, we accompany our residents to their medical appointments. These may include podiatry, audiology, dental and optometry appointments. Laboratory and x-ray services are available on-site at Autumn View. Our beauty salon / barber shop offers haircuts, wash and style, as well as perms and hair color, manicures, waxing, and more. Appointments must be scheduled in advance. We are proud of our lovely and comfortable setting. Residents enjoy socializing with friends and family in the dining area for delicious, home cooked meals that meet their nutritional needs. Residents will also enjoy activity programs geared toward their individual likes as well as adapting to their individual levels of functioning. A full range of therapy services are available on site for those residents that may need out-patient rehabilitation to remain as independent as possible. Therapy services can include physical, occupational, and speech therapy. If a resident would require skilled nursing care, they would move smoothly into Maple Winds Care Center through our continuum of care process. Both Maple Winds Care Center and Autumn View Personal Care offer a full range of therapy services, including physical, occupational, and speech therapies. These therapies are an integral part of each resident’s individual plan of care. Some of our short term residents come to us specifically for these therapy services before returning home after an illness or accident. We work with people who have had bone fractures, hip or knee replacements or other surgeries. We provide therapies for strengthening and to help heal wounds and recover range of motion. We work with swallowing or dysphagia disorders and certain Alzheimer’s or dementia related problems. Therapies for our Maple Winds nursing care residents may be provided bed side or the residents may visit our spacious therapy room. There they have opportunities to work with a variety of specialized therapy devices including parallel bars, weight training equipment, steps, and even a training restroom. Autumn View Personal Care residents usually receive rehab therapy privately in their rooms. Our therapists follow detailed individual plans for each resident, including those who only need overall strengthening and minimal assistance with activities.